Bees which main products are honey are already part of our daily food consumption and many cuisine ingredients while bees wax are components of several cosmetic products. Sources of honey are mainly from honey farmer who tends to get it from the wild, destroying beehives while extracting those precious honey. Despite the huge demand, the beekeeping industry in the Philippines is not that immense. In Bohol, we can only account by hand the number of beekeepers in the province. Beekeeping indeed is crucial, given that it is seasonal and must work with nature. 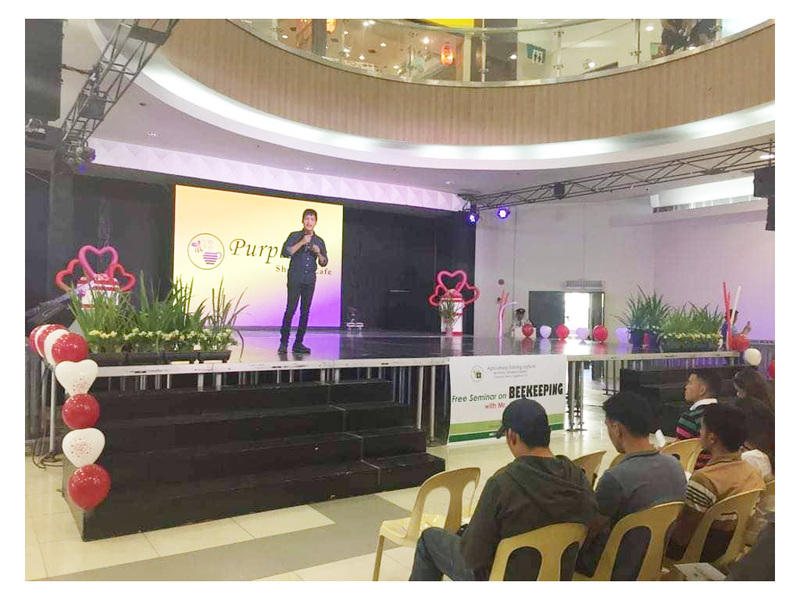 Knowing this, the Agricultural Training Institute – VII (ATI 7) in collaboration with ICM and Alay Marcela Foundation – the Corporate Social Responsibility arm of the Alturas Group of Companies conducted the free seminar on Beekeeping. The seminar gave participants a better understanding of how bees work, what they can do and provide while it also offers a potential source of income. The seminar was facilitated by Lhea Glory Mae Araňa of ATI-7 with Mr. Jun Pales of Purple Bee Shop and Café, Mandaue City as Resource Speaker. The activity involved the discussion of the basic concept of beekeeping and its importance, overview of Beekeeping techniques; and its potential as a lucrative source of income. “Thank you ATI-7 for this free seminar on Beekeeping, as an instructor, I can now share the knowledge from this seminar. Bees are not harmful compared to what we have known, I now knew the importance of bees in our farms through pollination as it helps plants to grow” said Pedro D. Jaque, Jr. of Bohol Island State University – Bilar.